Laser hair removal is something quite ambiguous to an every day person. It is hard to tell the difference between IPL and laser hair removal. Clear Medical have been running since 2006 and we have seen the industry change due to many reasons. We aim to give you the most probable reasons for the confusion and most of all, help you differentiate the sense from non-sense. Firstly, it is crucial to understand about the history surrounding medical lasers. The concept of lasers first imagined by Albert Einstein in 1917. Development over the years made the first laser in 1960. In the early 1980’s, the technology for the first aesthetic lasers was under development although without their progress we would have nothing now. Therefore, it is easy to understand that we have come a long way with learning curbs over the last 100 years. Lasers are capable of a lot in this day and age and they vary in a lot of different specifications and uses. The first laser treatments targeted tattoo’s. Within deep layers of the skin you will find tattoo ink, this is why they remain for many years. Ink varies in colour and can absorb light at different wavelengths. Initially in the 1980’s lasers were at their preliminary stages of development. Lasers functioned in the 1980’s by emitting a single pulse of light. Specific skin types, could not tolerate early single pulse laser systems (high melanin levels or other contraindications). The risk of negative side effects, of single pulse aesthetic laser is higher on different people. However, therapists found a laser set to target red tattoo ink, will yield less red thread veins over the treatment area. Similarly they found targeting a brown tattoo ink, gave less observable hair growth over the skin. The discovery was by accident, as with many scientific breakthroughs. There are now many different applications for the use of aesthetic lasers. Modern lasers are no longer a single pulse. Lasers applications have many different uses, previously limitations existed. Minute alterations in factors that make up light gives drastic changes. You can alter the wavelength of light depending on what you want to target. Modification of the pulse train (number of light pulses emitted and the speed between them). Fluence can vary (the number of joules/energy of the light emission). 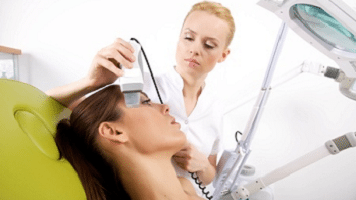 The definition of IPL – intense pulsed light emitted by a laser. LHE stands for light, heat and energy, which is another way of describing the actions of lasers. Lasers can vary as described above and by the specifications of the manufacturer. Laser is the term used to describe a beam of light. In other words, it is not the easiest thing to differentiate between as they root from the same thing. Lasers have many applications in the modern day (military, optometry, surgery, industry, aesthetics and entertainment). The specification under British law, under regulation was “use of intense light sources” which covered both lasers, IPL and LHE. Yet manufacturers can label their system as either and say “the most advanced” form of device. Considering lack of knowledge on the marketing subject, information more than likely is misconstrued as a result. We also have to question the consequences of liability or if any one check that the information given is accurate. Nevertheless, rest assured Clear Medical use an award winning, local, British manufacturer. Their physicists ensure optimal functionality of the system, for its targeted use. On a regular basis, our system is Calibrated to make sure that it is accurate. This is in line with the British medical devices directive, that specifies the manufacturer should carry out servicing. In conclusion, we believe the difference between IPL and laser hair removal is that they are the same thing. However, there are different standards of system quality, service and knowledge. For more information about the laser hair removal treatment we offer or skin treatments, feel free to have a look at our site pages. Previous post: Whats the Best Soap to Wash With?